Over 100 local businesses in the US have started using Square reader yesterday, thus being able to process both Apple Pay and Android/Samsung Pay transactions. Square is one of the few companies currently on the market that handle contactless payments for small businesses. Yesterday, more than 100 brick-and-mortar shops across the United States started to use the new Square contactless reader. This way, they can accept a wide range of contactless payments, including those done via Apple Pay, Samsung Pay, Android Pay, as well as chip card and legacy swipe payments. According to the official press release, "The first group of businesses to use Square’s new reader include Honey Butter Fried Chicken in Chicago, Philz Coffee in San Francisco, Sump Coffee in St. Louis, Cafe Grumpy in New York City, and all 20+ merchants in the Urbanspace Vanderbilt food hall in New York." 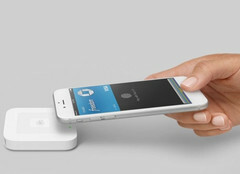 The contactless and chip reader was announced back in June and comes ready to use, working with Square's free point-of-sale app and connecting with Square Stand or a mobile device. Its price is $49 USD and can be already purchased by those interested. SAN FRANCISCO, November 23, 2015 - Starting today, 100 local business owners across the country are the first to accept chip cards and payments like Apple Pay from their customers with Square’s new reader, giving their customers a simple, fast, and secure payment experience. They represent the first set of local businesses to have access to the same new technologies that big corporations often invest in. With a tap of a phone, their customers are out the door. The first group of businesses to use Square’s new reader include Honey Butter Fried Chicken in Chicago, Philz Coffee in San Francisco, Sump Coffee in St. Louis, Cafe Grumpy in New York City, and all 20+ merchants in the Urbanspace Vanderbilt food hall in New York. “We’ve always wanted to offer our customers the option to pay with Apple Pay and we’re thrilled that Square has helped us make this a reality,” said Joshua Kulp, Executive Chef of Honey Butter Fried Chicken in Chicago. “Our customers have been asking about contactless payments. Now it’s here – with one tap, customers at our Grand Central location can grab a coffee right before they jump on the train!” said Caroline Bell, Owner of Cafe Grumpy in New York City. Local sellers are also using Square’s new reader in cities across the country, including Atlanta, Austin, Boston, Denver, Los Angeles, Nashville, New Orleans, Miami, Minneapolis, Philadelphia, Phoenix, Sacramento, Santa Cruz, Seattle, Tampa, and Washington, D.C. Announced in June, the contactless and chip card reader is a wireless reader that comes ready out of the box, connects with Square Stand or a mobile device, and pairs seamlessly with Square’s free point-of-sale app. To make a payment, all a customer has to do is hold their device near the reader or insert their chip card. The reader then initiates the payment and the whole transaction just takes seconds to complete. With the iPhone’s fingerprint technology (Touch ID), a signature is no longer required. The new reader meets the highest standards of security because it optimizes for accepting authenticated payments like EMV and contactless (like Apple Pay and Android Pay). Sellers can visit squareup.com to order the new Square Reader for $49. Square creates tools that helps sellers of all sizes start, run, and grow their businesses. Square's point-of-sale service offers tools for every part of running a business, from accepting credit cards and tracking inventory, to real-time analytics and invoicing. Square also offers sellers financial and marketing services, including small business financing and customer engagement tools. Business and individuals use Square Cash, an easy way to send and receive money, as well as Caviar, a food delivery service for popular restaurants. Square was founded in 2009 and is headquartered in San Francisco, with offices in the United States, Canada, Japan, and Australia.